YouTube is the latest site to remove content produced by Alex Jones, the political commentator and conspiracy theorist. Jones has seen his videos, web pages, and podcasts removed from Facebook, Spotify, and iTunes in addition to the Google-owned video site. Jones is facing a lawsuit over his claims that the parents of the children killed during the Sandy Hook Elementary School massacre were actors and that the murders were a hoax. 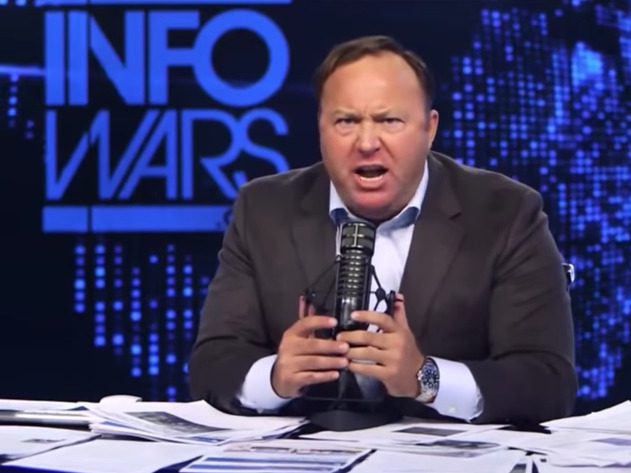 On Monday, YouTube became the latest platform to boot content of the conspiracy theorist Alex Jones from its site, hours after Apple first took steps to remove most of Jones’ podcasts from its services, citing the company’s hate-speech guidelines. The Infowars channel, which Jones operates, has also been taken offline, and it now brings up a page citing the same violation of YouTube’s policy. Jones was not immediately available for comment. The move by YouTube, the second-most-visited site on the web, followed a wide crackdown on Jones by some of the other most popular web platforms including Facebook, Spotify, and Apple. None of those companies cited misinformation as being behind their reasoning for removing Jones’ podcasts. Jones, a far-right conspiracy theorist, has been scrutinised over the past few weeks for spreading false information. Some parents of children killed in the 2012 Sandy Hook Elementary School shooting blame Jones for encouraging people to harass them and filed a lawsuit against him earlier this year. Jones has dismissed the shooting as a possible hoax and suggested the parents were actors. Apple removed many of Infowars’ podcasts, and Facebook removed some of Jones’ pages. “Apple does not tolerate hate speech, and we have clear guidelines that creators and developers must follow to ensure we provide a safe environment for all of our users,” Apple said in a statement on Monday. Jones is trying to find workarounds to the bans. He has implored his followers to download the Infowars app, which is still available on Google Play and the Apple App Store. Jones had received a strike on his YouTube channel on July 24 after he posted four videos that violated the site’s policies against child endangerment and hate speech, according to the story by The Verge. One strike on the service leads to a suspension on livestreaming privileges. According to sources with knowledge of the situation, YouTube notified Jones of the strike on his account and that his livestreaming privileges were suspended for 90 days. Despite the suspension, Jones’ channel tried to circumvent YouTube’s enforcement by promoting livestreaming on other channels. The sources said Jones ignored the warning and continued as before.